A seminar discussing a project on the use of bicycles in the ancient city of Hoi An of the central province of Quang Nam was held in the city on October 24. The event was organised by authorities of the city, the Health Bridge Canada in Vietnam and the German Corporation for International Cooperation (GIZ). At the seminar, participants discussed policies on non-motorised transportation in Hoi An, along with experiences in using bicycles as the main vehicle in some cities around the world. They also assessed opportunities and challenges of the city’s bicycle development plan. Over the years, Hoi An has committed to building itself into an eco friendly city to preserve its historical and cultural values. The city has encouraged walking and the use of bicycles and public transport. However, many motorcycles are still in use in Hoi An due to a lack of policies and road infrastructure for bicycles. 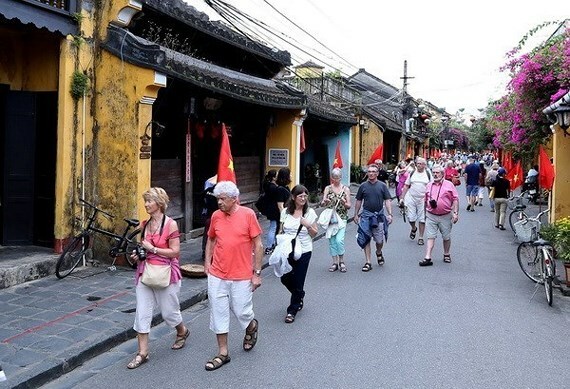 Vice Chairman of the Hoi An People’s Committee Nguyen Van Son said the project will devise policies to popularise the use of bicycles in the city. The city will call on the private sector, including restaurants, hotels and tourism service operators, to get involved. Previously, Hoi An and the Health Bridge Canada in Vietnam joined hands to devise the project on the use of bicycle for transportation in the city, which later received an award from the German government on global urban transportation this May, as well as sponsorship worth 4 billion VND (171,360 USD) to launch the project.